December 9, 2013 By Tina M 5 Comments This post may contain affiliate links. Read my disclosure policy here. 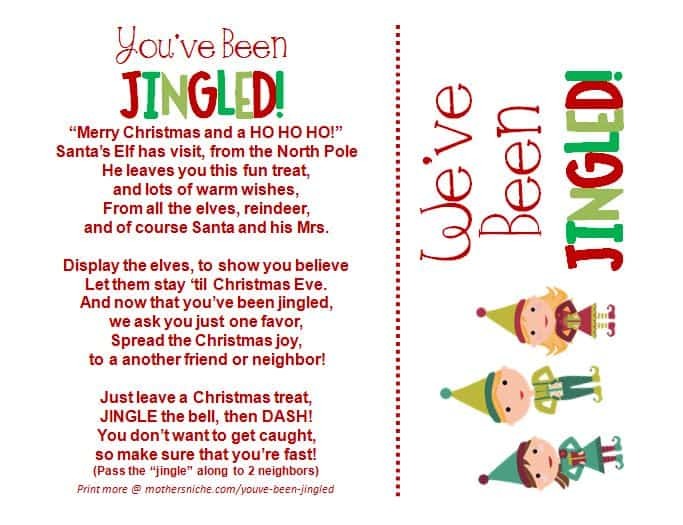 As if there aren’t already 100 different versions of the “doorbell ditch a treat to your neighbor” printables, Here’s another “You’ve been Jingled” version for you! 🙂 Similar to “You’ve been Elfed” or “You’ve been snowballed,” get the kids focused on the real meaning of Christmas by going out and leaving fun gifts for others. Better hurry! There’s just over 2 weeks left until Christmas! and of course Santa and his Mrs.
to a another friend or neighbor! 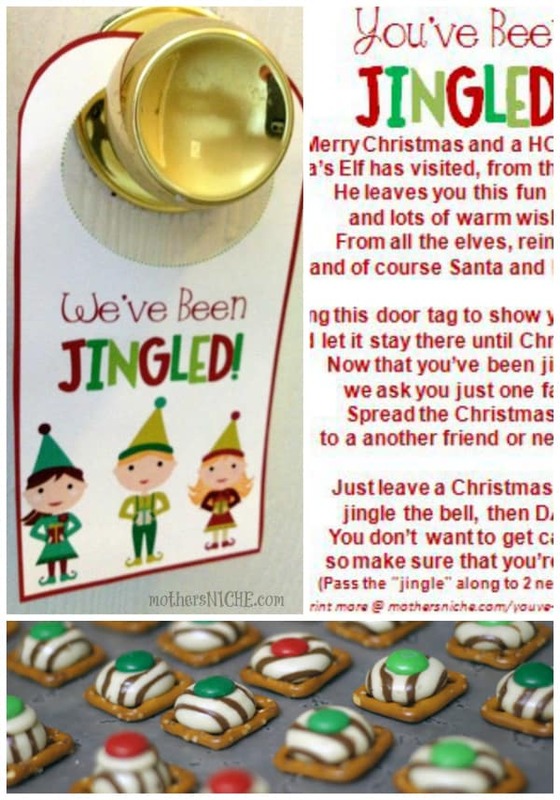 jingle the bell, then DASH! so make sure that you’re fast! 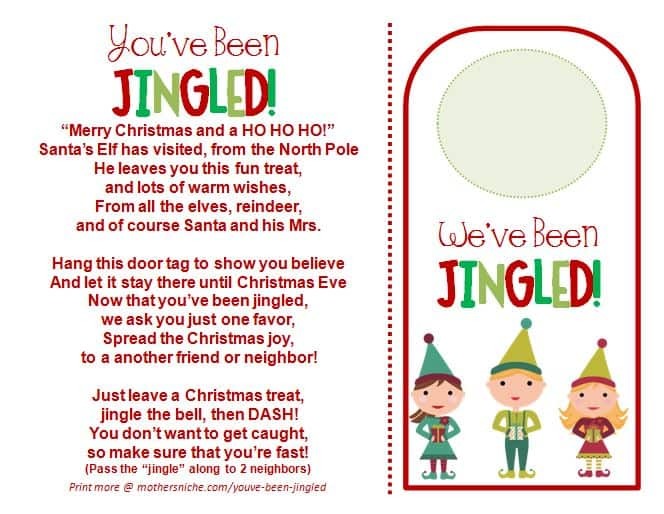 You can print off the “You’ve been jingled” DOOR TAG version (for hanging on the front door), or you can print off just the regular version (for taping to a window, etc.). Yes there are many versions of things like this, but this one is by far the cutest! Thanks! Cant Wait to use it next year! This is great but the spelling and grammar errors need to be corrected. Excellent, I am going to do this but not for our neighbours, I am going to do it through the school i work at. can’t wait to see their reactions, very excited!! Is there anyway you can send an edited version to my email? (take off the a before another). Yeah, had to re-type it myself because the spelling and grammar are trash!